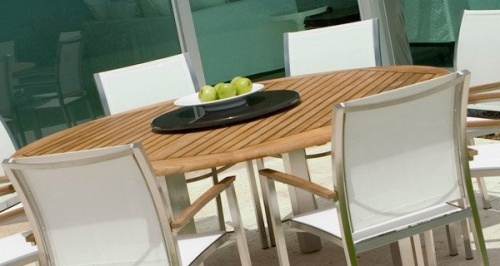 Our Gemini commercial grade stainless steel chair provides an unusual level of outdoor comfort with its minimally curved, teak enhanced arm support and high performance UV and tear resistant Textilene®, a durable mesh PVC coated fabric that is both mildew resistant and flame retardant. 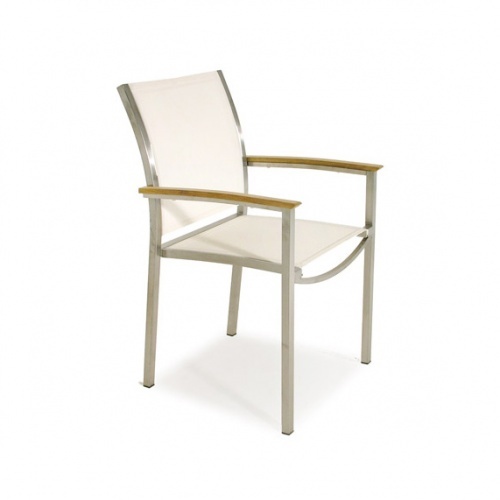 The strong breathable mesh conforms to the shape of the human form while allowing air circulation at contact points, which makes this a very comfortable stainless steel chair. 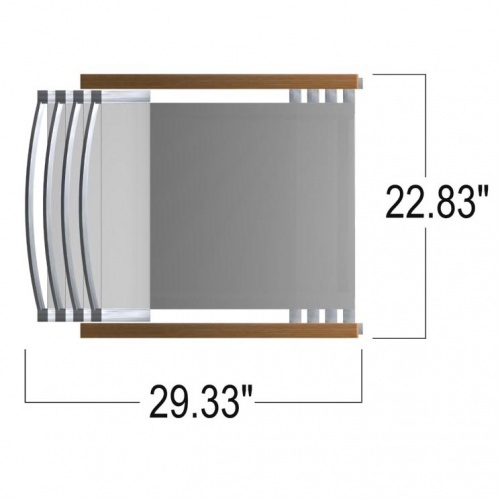 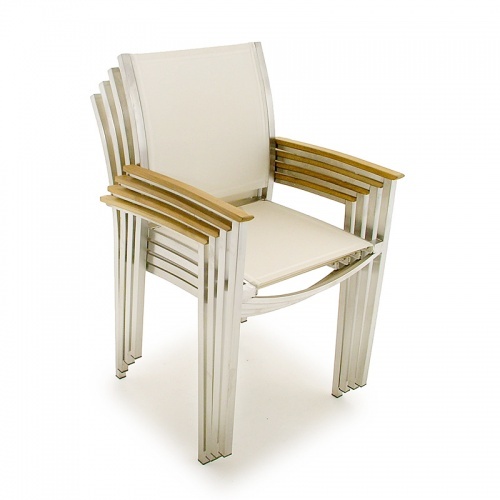 These stainless steel chairs can be ordered in black or white Textilene®. 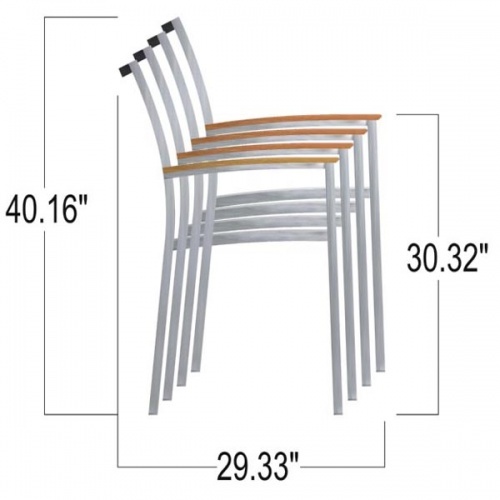 Chairs will stack four high for convenient storage.